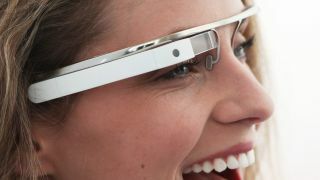 Google is aiming to make handsets a little more hands-free with its latest patent for Google Glass using eye-tracking technology. The patent describes a system for using eye-tracking as a way of unlocking mobile devices rather than the gestures and taps used currently by smartphones. Several methods of tracking eye movement are provided, including projecting moving objects and displaying a path, such as a zigzag or partial circle pattern, for the eye to follow. Another example involves displaying text, and tracking the eye's movement and speed to determine whether the user is actually reading the text. Google's eye-tracking patent is designed for use with a head-mounted display, which is the company's typical patent talk for Google Glass. The images would be displayed directly on the Glass screen with a sensor or sensors tracking the eye's movement. The tricky part about using eye-tracking to control Google Glass is that the unlocking gesture needs to be an eye movement someone would not normally perform. To accommodate that problem, the patent advises using the eye following patterns and moving objects at set speeds, ensuring that the user is watching the unlock icon rather than accidentally unlocking their device when a bird flys by. While the patent only discusses the use of eye-tracking for unlocking head-mounted displays, there is no reason why the method couldn't be expanded for other applications. The text tracking in particular could lead to much broader uses in menu navigation, for example. It's also possible the technology could integrate with smartphones and tablets, using eye gestures to unlock connected mobile devices when driving, cooking, or any activity that occupies your hands.